Congratulations to the new winners! Please wait for the confirmation email to be sent by romwe admin. By the way ronwe addicts! Here's what you've been waiting for. 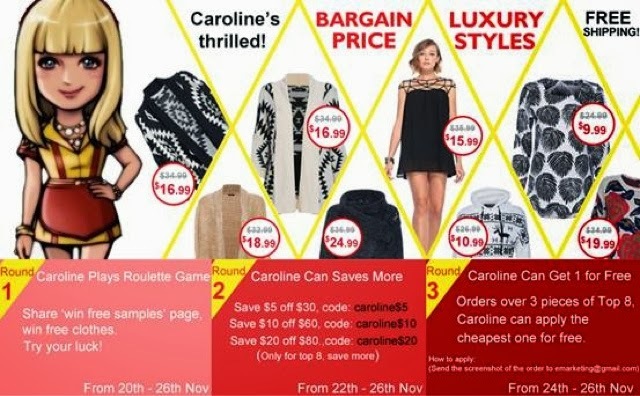 The 2014 First Big Sale ! 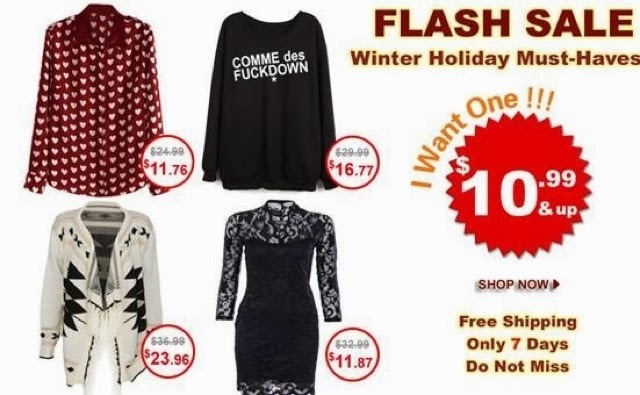 Over 1000 winter styles! Large amount of Spring new styles are coming soon! Click the photo below to start shopping! If you are wondering how a lavish modern wedding that takes place in a historical building looks like, you just have to find the Bently Reserve wedding photos. 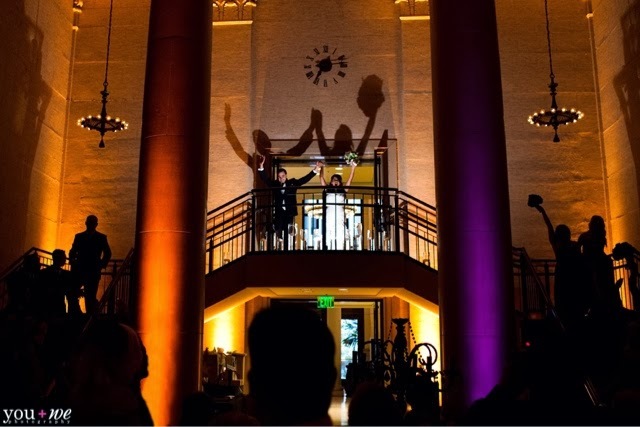 The Old Federal Reserve Bank of San Francisco, now named the Bently Reserve is hosting weddings up to 800 hundreds of guests. This building is included in the National Register of Historic Places. Its magnificent style creates an absolutely amazing atmosphere for your party and the photographs taken there have a munificentair. 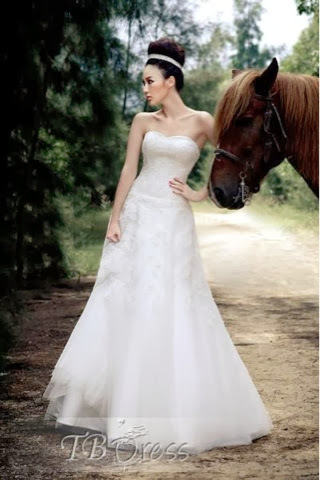 Today the wedding photography is a totally modern and developed sphere. Still, when it comes to taking wedding pictures in historical buildings, this art can bring out the good old style of one kiss between a bride and a groom. 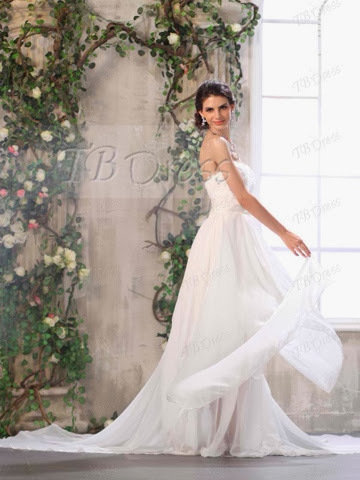 Everything that is going to be a part of a wedding portrait is going to be remembered. This is why, all the brides have tons of make up on their faces and all the grooms are dressed in the best suits and ties. People want to look good in the pictures, they will have for the rest of their lives. Every photograph taken at such an event, has to be a good one, there is no room for bad light, blurred photograph, wrong background and sad faces. A wedding is about love, this is the reason why wedding photographs should be taken with love. The event that celebrates the climax of the feelings shared between two love birds, has to be captured in its best light. Find a photographer that knows how to work everything well, from the location of your wedding party and the way sun lights up your face to the drunk dancing photography. The moving and the static are both important aspects and the photographs taken during one or another, should be all beautiful. The photographer has to know the right moment for pushing the button, the marrying couple has to show the love, the guests have to show the happiness and the building where it all happens, has to fit perfectly the wedding theme.Love is what matters at weddings and generally in our lives. In front of the camera it is absolutely necessary to show this feeling so after years you will get to look at the pictures, you will get to feel the love in its rawest state, just like it was in the beginning. Hurrah! My heart-back addiction is back! I choose this color and It's such a fashion-forward piece that is great for lengthening legs and emphasizing complexion, I hope it goes nice on me. This classic style is easy to wear and can be worn from day to night. I am loving regulars in simply elegant mono dresses these days. 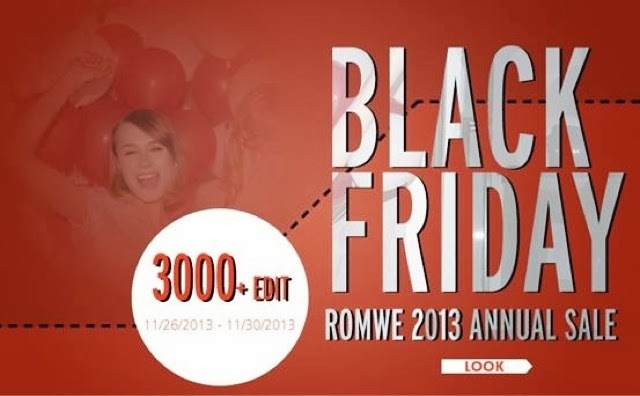 By the way romwe addicts! 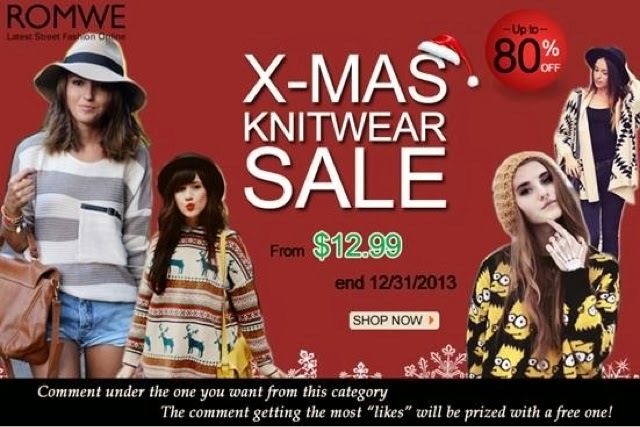 Xmas knitwear sale! Up to 80% off! Already started! Don’t miss, girls! Click the photo below to start shopping! Open to Both local and international readers! 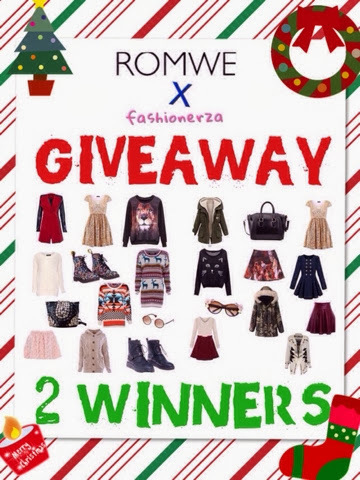 Two lucky winners of Romwe $30 voucher will be announced on December 28, 2013, Saturday night. By the way romwe addicts. This shop offers BIGGEST SALE this Christmas. Hi addicts! I would like to thank you all for the beautiful words on my last post. I'm so much happy you like my daily dose of drama and craziness when posting my outfit shots. Now, I'm going to share my best thrift finds ever. Scored a lot with this bustier top and bag. I bought them for less than $1 at the vintage shop. Yeah, that's true. This is how thrifty fashion shoppers (like me) save money. It is not necessarily cheap. Thrifty for me means using the money in the most effective way. To all shopaholics out there, you should try it sometime. By the way Romwe addicts! Here's another sale update! Super slim price flash sale! Only 7 days! The winter holiday must-haves collection! $10.99 up! Click the photo below to start shopping!! Almost all women (on the other side of the world) yearn for a great tropical vacation during winter days, while me, living in a tropical country , well it's an advantage. I can wear anything I want. Including this dress, paired with those shoes. Yes anything, but except for the cozy outfits, super thick clothings, and etc. I'm a half hearted fashion blogger who is a big fan of winter outfit trends. I still haven't experienced the beauty of wintry landscape and have never been to a place where it snows. I've always been a beach person and now I'm starting to want to visit a place with snow, soon. I know some of you will laugh at this topic. Well, I'm just curious. I think there is something magical about snow. Hi addicts! I am sharing a new shop's promotion now. It's from Sheinside. 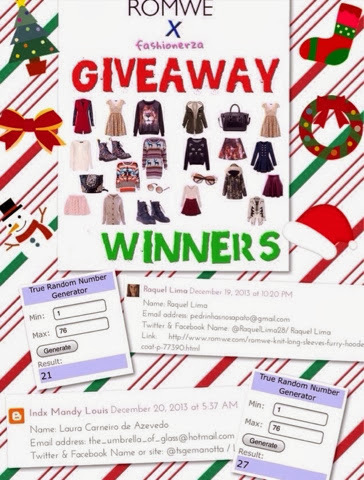 It's all about the Sheinside Christmas Lucky Bag. Congratulations to the winner! 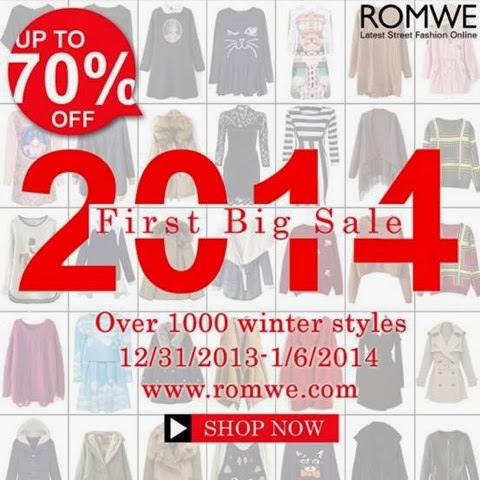 Please wait for the confirmation email to be sent by romwe admin. I wanna THANK YOU all guys for joining another amazing blog giveaway. I will be hosting more giveaways soon. Please stay in touch! Eek! It's goodbye "pantone's color of the year" time again. It's dazzling blue for 2014, and I love all shades of blue, my favorite colors. Yes, Emerald is such a beauty and I also find it really hard to let go of this trend. The color reminds me of typhoon Haiyan that hit our country. So many unexpected things that happened this year. I hope 2014 turns out to be a good year for everyone. Hey Ronwe addicts! 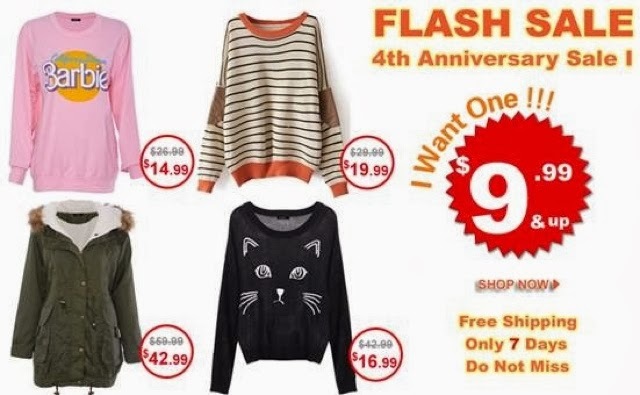 Super slim price flash sale! Only 7 days! The Greatest Hits Collection! $9.99 upComment under the product, and get a chance to win a free one. Already started! Don't miss girls! Start shoppigg by clicking the photo below! So, it's December tomorrow. Can you believe this year is almost over? Time flies so fast when you're busy. While being a "time optimist" is fulfilling when you're in a long distance relationship. Making time to go faster until I see my other half is the biggest of my problems. Instead of counting the days and watching the clock tick, I engaged myself doing something new. Time passes quickly when you're having fun. I know soon we're gonna see each other again, together forever, just a little bit more. Hey romwe addicts! 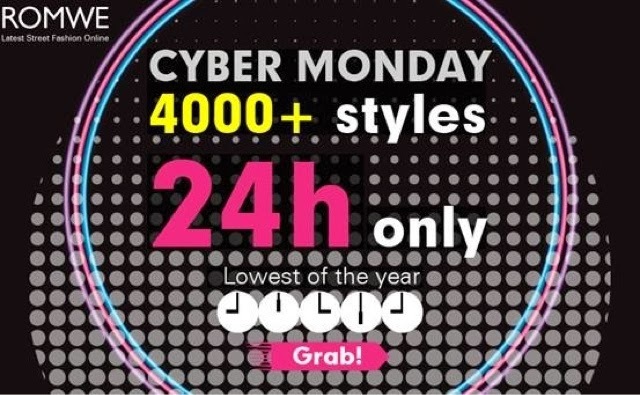 Romwe Cyber Monday sale, 2ndDecember4000+ styles, from $1.99, only 24 hours! Photography - the new habit. In our world, technology became not only accessible but also necessary. Photography has evolved together with the technology and today it got a new meaning and it seized a whole new sphere. Besides being an art and science at the same time, photography became a job, a hobby and a well known habit. Yes, it is a habit for this generation. With accessible phones with cameras and Internet access, everyone is taking photos of everything, in order to show them to the others.Taking photographs it is simple, if you are some teenager taking pictures in the mirror with the camera on your phone, for posting them on Facebook. If you are a New York advertising photographer that is supposed to bring something new to the famous Empire State Building, through a photo, that will eventually become an ad, it is not so simple. We see photos of things, people and pets every day. Photography is everywhere. It is pretty hard to find a city with no billboards, a home with no photo albums and a phone with no self photos. That is how huge is the impact of this art on us and how available it is for everyone. It is simply important for people to capture the moment. When you get old, all you are going to do for remembering the times will be looking at photos. Even today, you need a photo to exactly remember how you were looking like, 10 years ago. When you were a kid, all you did when you were leafing through the books you had at home, was looking at the images. The images in books, are sometimes the main attraction and not only for kids. The same is happening with the people who are bored, sitting in a waiting room, leafing through magazines and also looking only at the images. Photography has always been an important factor in our lives. Yes we have some ideas about how Napoleon was looking like, but still there were only paintings, not high quality pictures, which can show us the very real face. Imagine if the biggest events in history were photographed. What if there were real photographs of Jesus Christ transforming the water in wine, there would be no more atheists in this world. Only imagine, if we had some real photographs of Pyramids in Egypt while they were built. We would have so many answers to questions we had for a long time. A moment captured, lasts forever. This is why, photography has become so accessible to everyone and it is now definitely a habit for many. There is no better way to immortalize a moment and to create memories, than taking photos. Open to Both local and international readers! 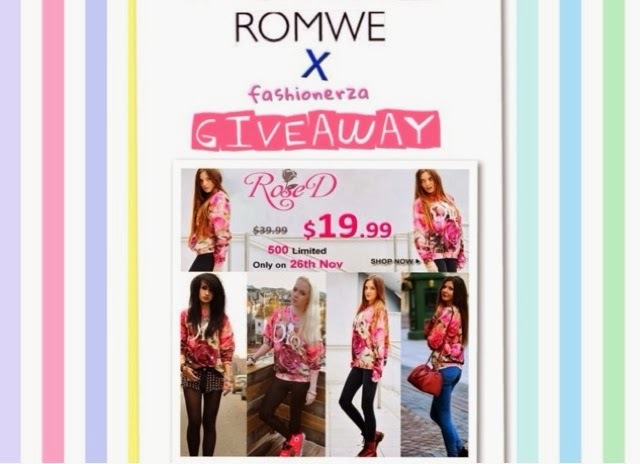 One lucky winner of Romwe Rose D sweatshirt will be announced on December 6, 2013, Friday night. 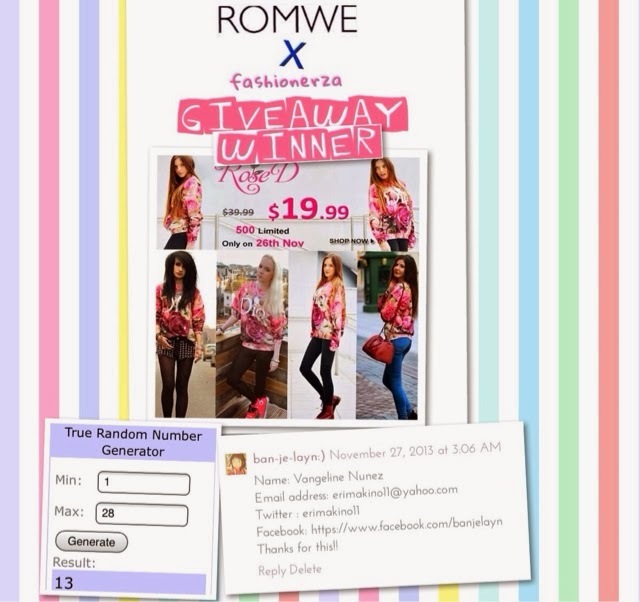 Want more romwe news? 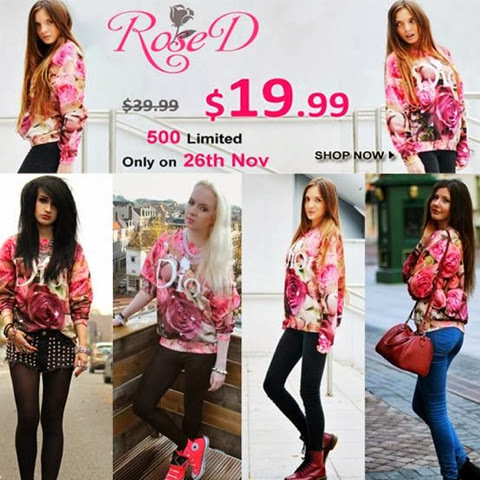 Well Romwe “Rose D” flash sale is up now for only 24 hours! Can't get enough of DIOR. $19.99 only, with original price $39.99, on 26thNovember! They have 500 pieces for grabs, but size M is only 200 pieces! Sand squished through the grip pattern on my shoes. Yeah I know it should be on my toes. Forgive me for another fashion crime. Believe it or not, I have the worst pair of slippers and it's exclusive for home use. These pretty pair of wedge sneakers absolutely no place at the beach, but has a big place in my heart. I am so in love with my comfy romwe sneakers. Another set of "sole mate"
Hello there Romwe addicts! I have three great news to share!! This is really addicting!